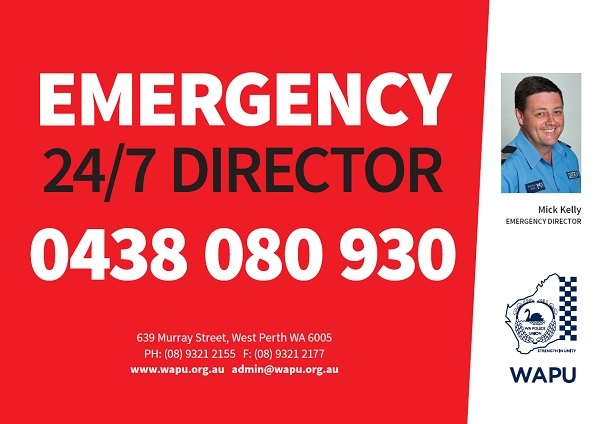 To contact the on call Media Officer please call (08) 9321 0450 or email media@wapu.org.au. This line is manned by one of WAPU’s Media Officers from 0700 - 1900 Monday to Friday and 0900 - 1800 on weekends. All media calls should be directed to this line. Outside these hours, please leave a message and your call will be returned as soon as possible. Calls to personal mobile numbers will NOT be answered. The line exists to ensure all media queries are answered in a timely manner so please assist by utilising it.